I came across some interesting stuff while researching for an upcoming interview. 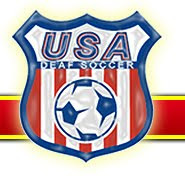 Did you know that the US was a World Champion in Soccer back in 1992 (bonus if you can name the team we beat to win the title), and that the current title holders are Japan? Apparently, that World Cup stuff back in South Africa really was a waste of our time. So how does that work, you ask, as Spain won the FIFA 2010 World Cup? Easy. Spain played Argentina in September and lost 4-1. Argentina then went to Japan and under new coach Sergio Batista, lost to Japan 1-0. Japan is now the title holders and look to remain so for a while as their next three matches are Jordan, Syria and Saudi Arabia in the 2011 AFC Cup. Should one of those teams defeat Japan, they'll become the first ever Middle Eastern title holders. There is also some nacent support from FIFA on this, and a recently published book. *By the way, the World Championship team we defeated? Portugal, 1-0, off a Roy Wegerle goal. By this logic, Spain did not "win" the World Championship when they won the World Cup, since they lost a game to Switzerland. No, only one team finished World Cup 2010 unbeaten: NEW ZEALAND. 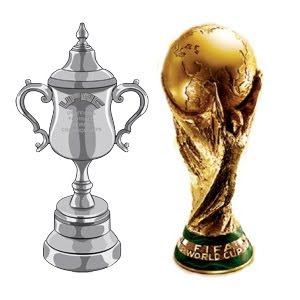 Therefore, at the end of World Cup 2010, the unofficial World Champion was New Zealand. Everyone else lost at least once. You would think, but the fact was that the Netherlands were the champs going in and lost to Spain in the Final which resulted in Spain taking over in a brief stint as UFWC. The Netherlands were title holders from November 2008-the World Cup Finals in 2010, a span of about 23 matches. I actually had thought of that, since the Netherlands were the only team to go undefeated in qualifying, that when Spain beat them in the final to become "official" World Cup Champions, they also became unofficial World Champion since Holland had not lost for so long.